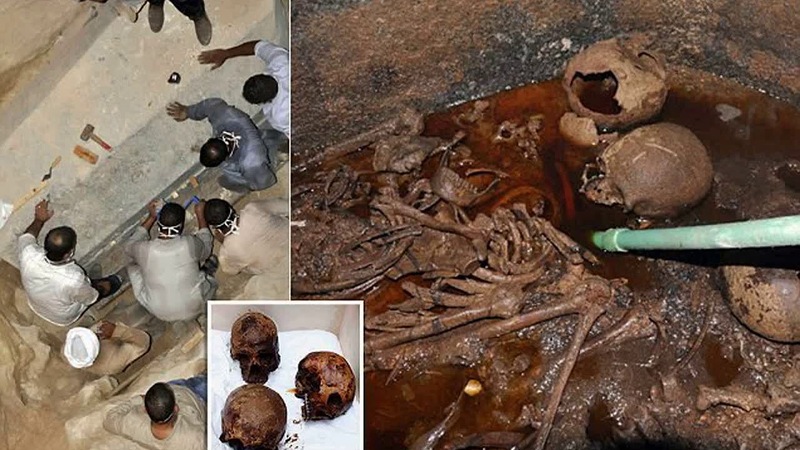 Yet Egypt’s Antiquities Ministry says the liquid is neither ‘juice for mummies that contains an elixir of life’ nor is it red mercury but only sewage water. It also says the find doesn’t belong to any ancient rulers and the remains are undergoing restorations to reveal more. Others warned of ‘the curse’ opening it would unleash. These reports were dismissed by the ministry. The petition encouraged people that they needed to ‘drink the red liquid from the cursed dark sarcophagus’ in order to ‘assume its powers’. Others said: ‘Who knows what divine powers this juice possesses’ and ‘the red liquid will unlock unlimited power’.